Mommy and Daddy took away my ball because it was driving them mad! 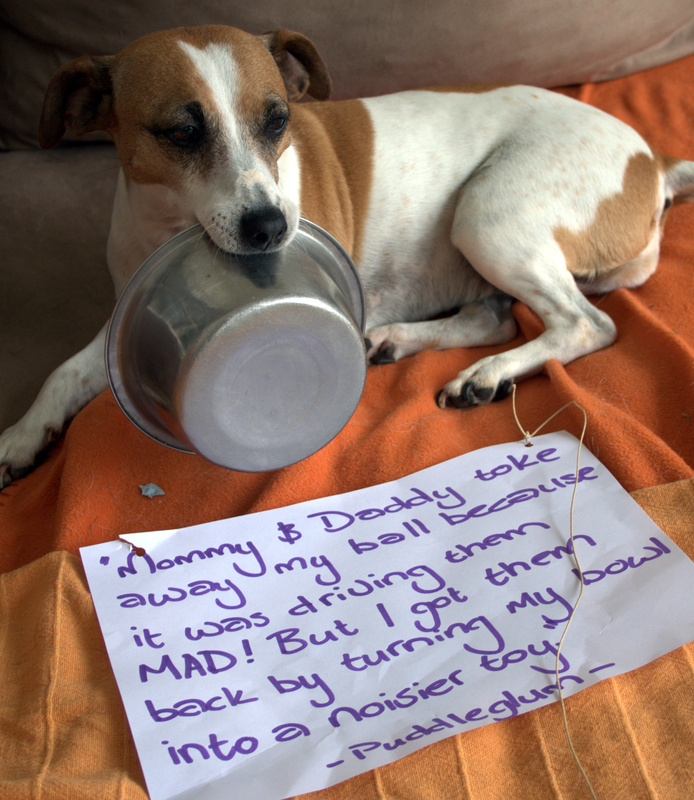 But I got them back by turning my bowl into a nosier toy. 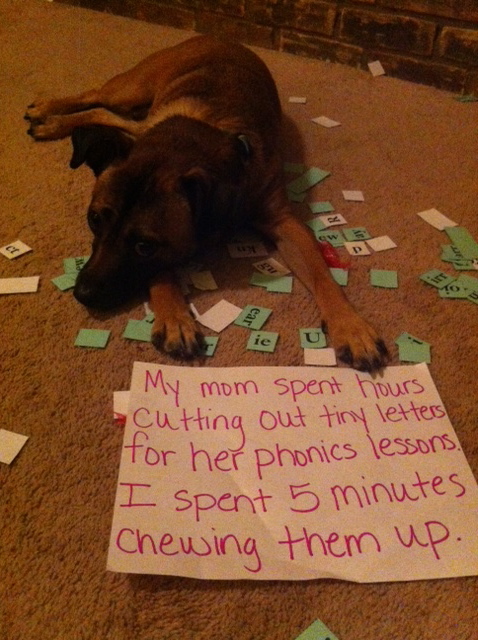 My mom spent hours cutting out tiny letters for her phonics lessons. I spent 5 minutes chewing them up. 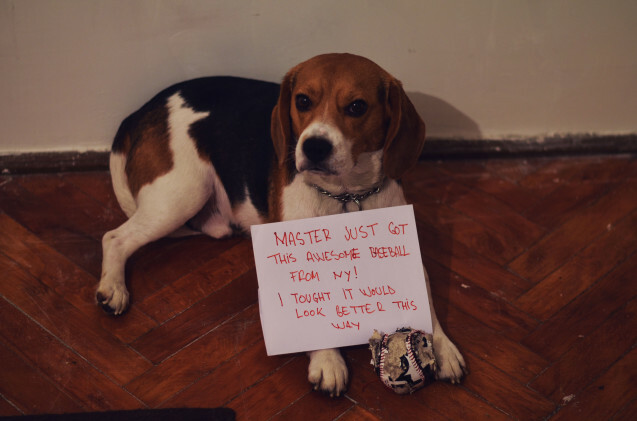 Casey the Beagle has a nose for trouble- and fruity flavoured lip balm. 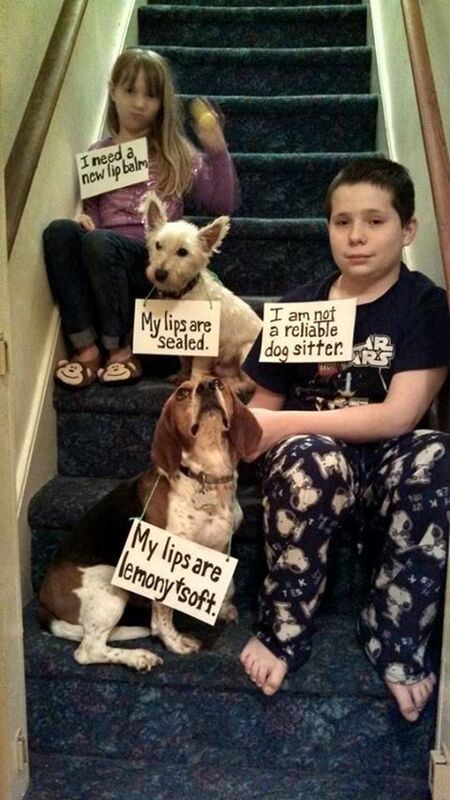 Her boy, age 12, did not close the gate and she discovered a new lemon EOS lip balm in her sister’s (age 10) room. 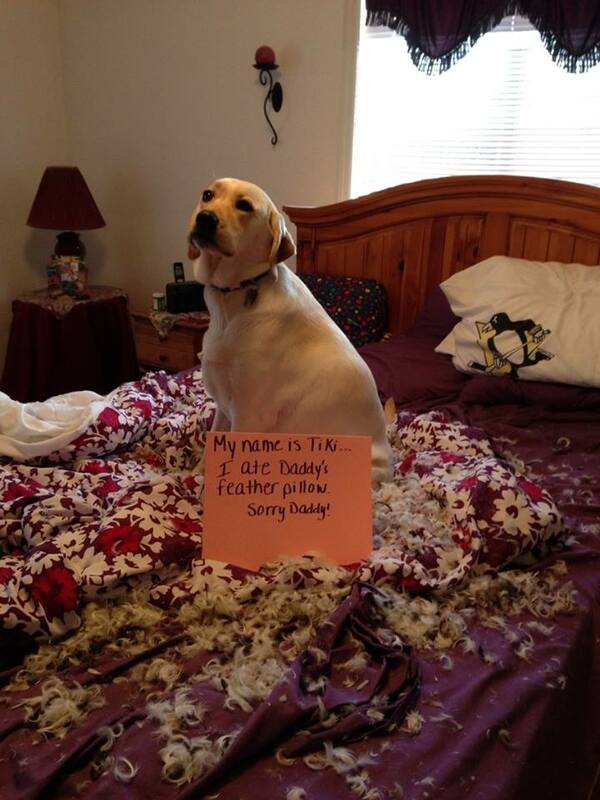 Her Westie fur brother, Petey, had no comment on the matter. Needless to say, constipation is not an issue! Tiki was missing Daddy while he was at work today so…she thought it would help to chew up his feather pillow. Mommy heard some ruckus in the bedroom and found Tiki in quite a battle with Daddy’s pillow! Tiki’s planning to buy Daddy a new feathered pillow soon. 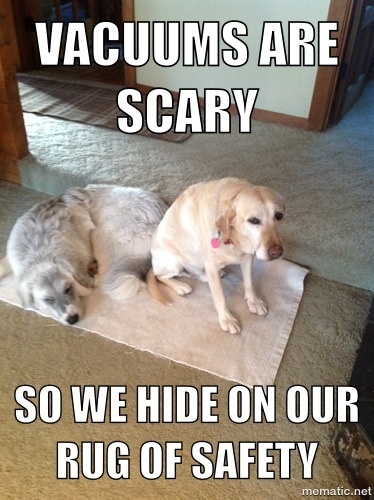 Mom is vacuuming our room so we have to run, hide and look pitiful. Not what you want during a blizzard! 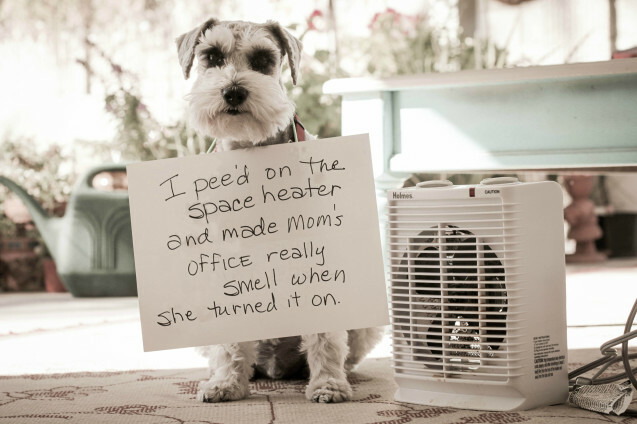 Soho peed in the space heater in my office. When I turned it on first thing in the morning, the odour of hot urine was overwhelming. Needless to say we had to buy a new heater. And air out the office! Love this dog! Card says: I pee’d on the space heater and made Mom’s office really smell when she turned it on. A good friend of mine just returned from New York and brought me this awesome baseball that had NewYork written on it. i haven’t even shown it to Ares (my dog) so i wouldn’t make him curious. I thought i went out to get him a treat too so i strategically placed the ball on top of the 1.2m table out of his reach (he has a history of tracking down new things) . Unfortunately, the table had a sheet on it and it was all Ares needed. By the time i got back (about 5-8minutes) he already finished with the ball and was sleeping in his bed. 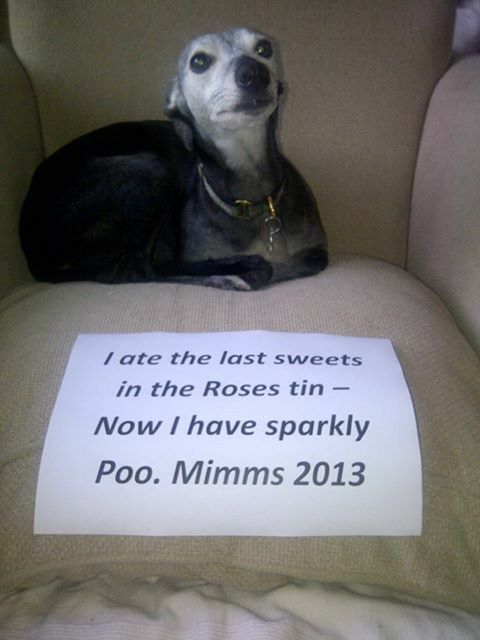 I ate the last sweets in the roses tin – Now I have sparkly poo! 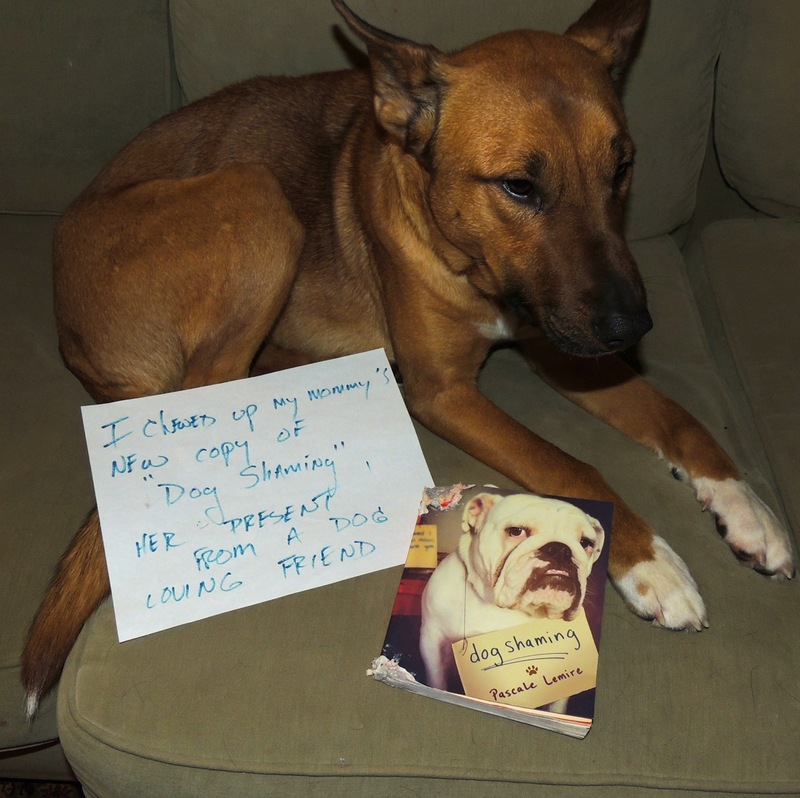 My wife received the book “Dog Shaming” for Christmas from a friend, and today left our dog Beauty in the house – normally she is in a kennel while we are out. When I returned home, I found the book was missing a few corners. 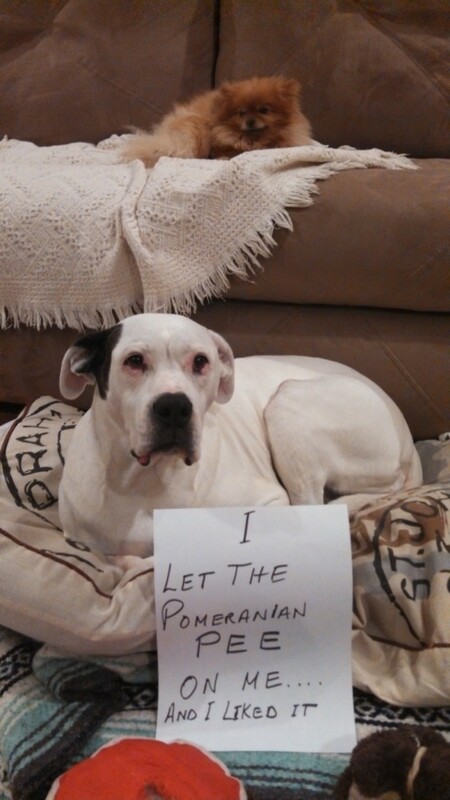 Beauty said she didn’t like the idea of people humiliating their dogs for fun and profit. Today, Beauty learns the definition of karma. Her sign says “I chewed up my mommy’s copy of “Dog Shaming”, her present from a dog loving friend”.